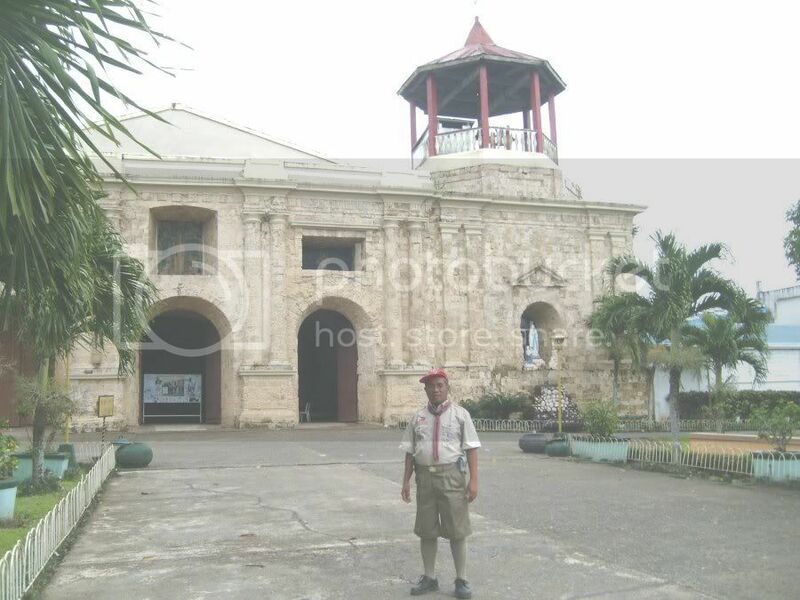 This is the first time that I visited Dao, Capiz while attending the 5-day Boy Scout of the Philippines 21st Western Visayas Regional Jamborette, in 6 February 2008 after an hour of opening ceremony at the grand arena, Camp Escutin, Brgy. Matagnop, Dao, Capiz. Sometime in 2007, "Dao was declared regional champion for the first time in the Gawad Pangulo sa Kapaligiran (GPK) annual search in Western Visayas," said PIA news. 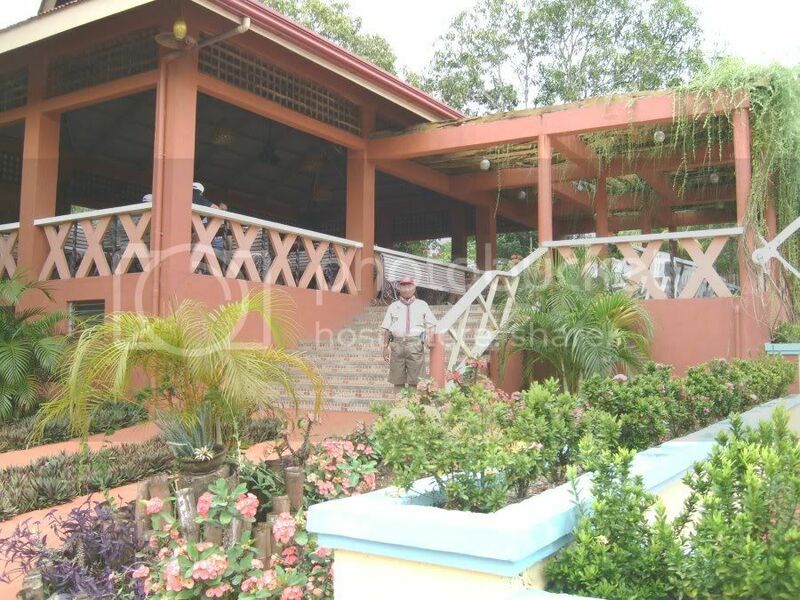 "Dao town, which is included in Category B (4th to 6th class municipality) has been declared as first runner-up in said regional competition for more or less five consecutive years before it eventually captured the regional title," added the news. Dao is one of the 16 towns of the province of Capiz. It is a 4th class municipality. In 2000 census, it has a population of 30,623 people in 5,921 households. It has 20 barangays: Aganan, Agtambi, Agtanguay, Balucuan, Bita, Centro, Daplas, Duyoc, Ilas Sur, Lacaron, Malonoy, Manhoy, Mapulang Bato, Matagnop, Nasunogan, Poblacion Ilawod, Poblacion Ilaya, Quinabcaban, Quinayuya, and San Agustin (Ilas Norte). Dao according to its residents is a kind of sturdy wood, which is used for making a banca or boat. The place is abundant with that kind of tree and that's how it got its name. Now Dao, peaceful town was the consistent winner of Cleanest and Greenest municipality of the province of Capiz for 6 years and was recently declared as the cleanest and greenest municipality of the whole region of Western Visayas. The plaza of Dao is well-maintained. 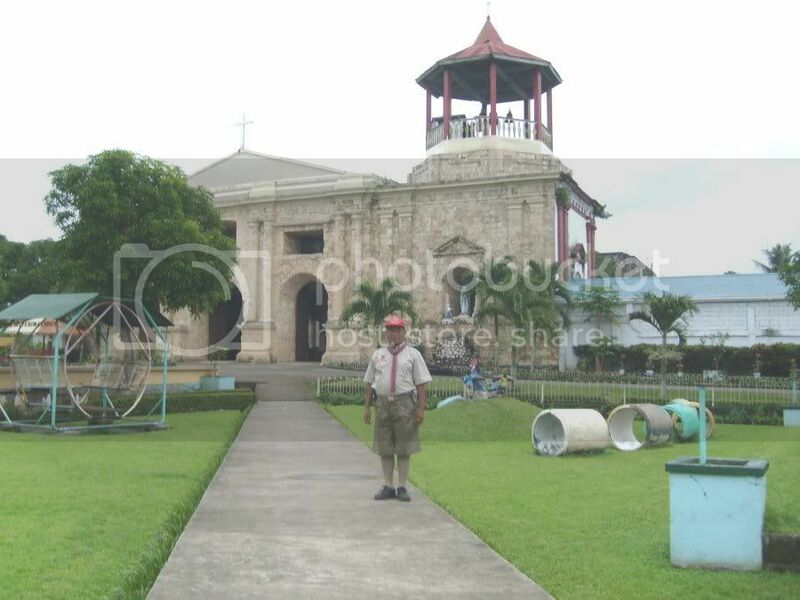 It is enhanced by the century-old Roman Catholic Church and a stately municipal hall. Dao is also bolstered by its 2-year old Eco park in the hilly part of Brgy. Duyoc, a 3-kilometer distance from the town proper. The place is refreshing, cool and serene. 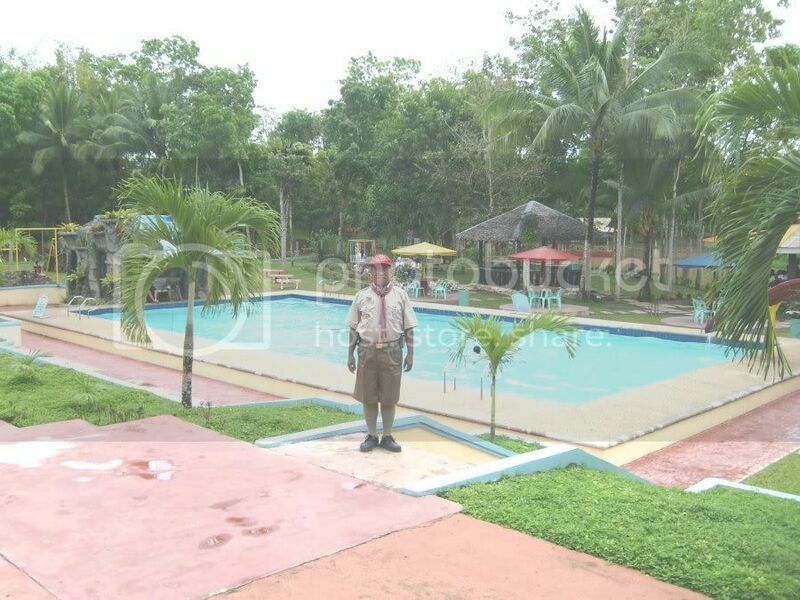 It has 2 swimming pools to cool off, several cottages to rest and a giant slide for the kids to play on. It has cozy lounge, a bar and videoke for amateur and professional singers. Camp Escutin where the Jamborette was encamped is another tranquil, nature-riched place. It is ideal for scouting activities. The benevolent Escutin family has never regretted donating the said vast of land for the boy scout campsite. 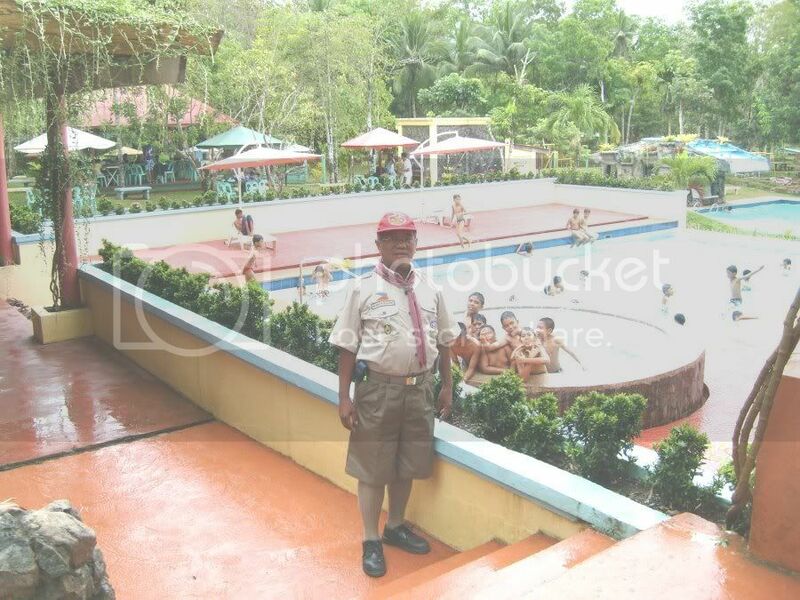 To recognize their exemplary gesture to scouting movement, the Regional Boy Scout of the Philippines gave them honor during the opening ceremony. 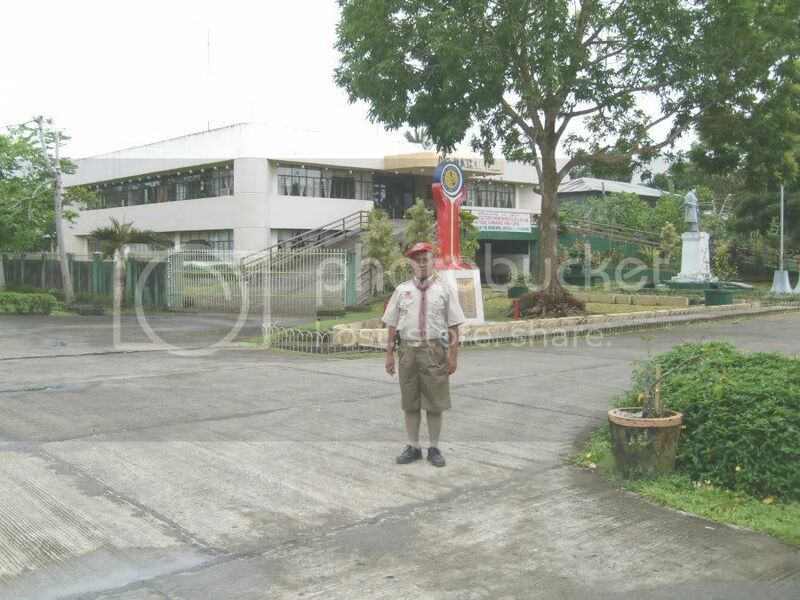 The old man, Don Luis Escutin received the prestigious and meritorious recognition. Exploring Dao is a reminisce of my tender age. Visiting its market, I am reminded of my hometown La Carlota 42 years ago when I was 14 years old. The market stall, the arrangement and main market at the center. They are a reminder of my younger years. The bandstand in the plaza is also another nostalgic memento of my formative time. 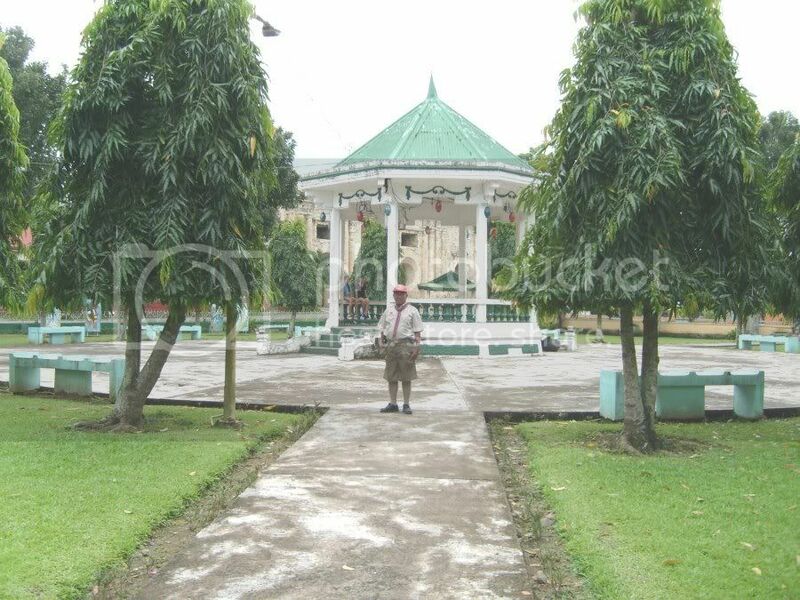 Our place has a bandstand at the center just across the municipal hall of La Carlota. I used to play, dance, horseplay there together with my contemporaries. The old-century Catholic church is another recollection of the past for it is similar with the Catholic church here in our place. It is also more than centuries old. Out of 5-day scouting experience I have had, I was really indebted to the hospitality extended us by the Alejo's family like Gingging, Marycris and Flor who used to serve us with our day-to-day meals during our stay with Matagnop till the conclusion of our regional scouting jamborette there. I will be really missing their friendly smiles. And also my instant acquaintance with Roxanne and Andrea at the public plaza bandstand a day before we break camp and heading home to La Carlota,Negros Occidental. Exploring Dao just what I did is like going back to my remote past. I thought Capiz was just about the home of Filipino folklores but not until now. There are many hidden/unknown beauties of places here in the islands that we don't know just like Capiz. I love the way that it's clean and its abundance of trees. It does look very nice. Thanks for sharing. I doubt though that I'd be able to go there. i remember the boy in the up, your uniforms are alike but seriously i never have gotten to the luzon part yet. at least now, im a bit oriented to a number of places already that I'll visit soon. I often hear Capis being associated with many creepy things, but it is good to know that there is such tranquility in the area. I've joined boy scout camping here since I was in grade 5 until I graduated HS.. I've known the history of the place, even the controversy that it had undergone before. The camp site is a real tranquil if visited not during the regional camps. I will wait for a promo fare this summer and will suggest this to my friends. The locals there are well disciplined I guess because they know how to maintain cleanliness and order. I also miss GSP activities :( Thank you Sir for sharing this, Sir! I heard so much about Dao especially when it comes to their health practices. This would be great for my little sissy! Beautiful photos. Hope to visit there someday! Yes, I remember Capiz was tagged as home of the aswangs. (though i don't believe in aswangs and stuffs). It's good to know that these places are now more progressive. I just wish you could make your pictures bigger next time Sir Gil. Anyhoo.. thank you for sharing this to us. @Julie, You've not noticed that there's an option to enlarge the pictures. Have you not done or tried it? The century-old church gets me. I can't get enough of old places, ancient edifices. Thanks for the virtual tour. My father is from Capiz (Dumarao)but I have never been there. The Escutins - bless their benevolent hearts. growing want for this subject.